Figure 1 shows the specifications of the die frame. 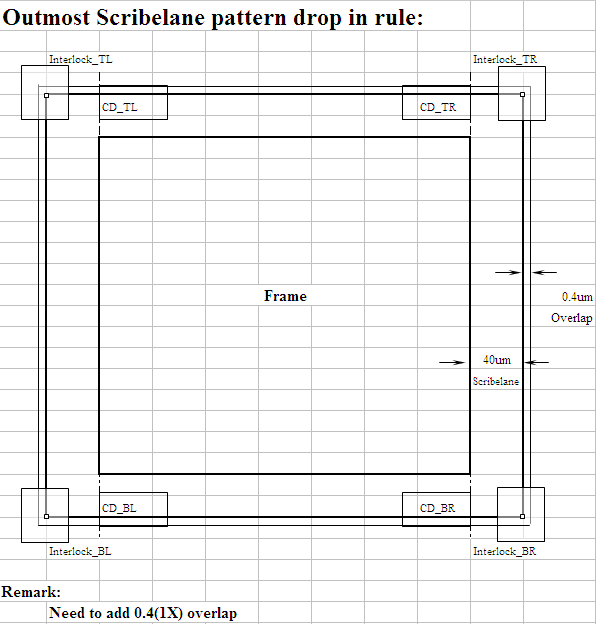 Figure 2 shows additional specifications of scribe lane and overlap. In the "scripting_ex02.eld" project, there are some existing layout cells: Main layout (the die), Vernier, Interlock, PCM, etc. From the Expert window, choose the menu Tool->Script and select LISA. To open the script window, select Tool->Script->Script Panel . In the script window, choose File->Open and select the file scripting_ex02.xis, the script will then appear as shown in Figure 3 . 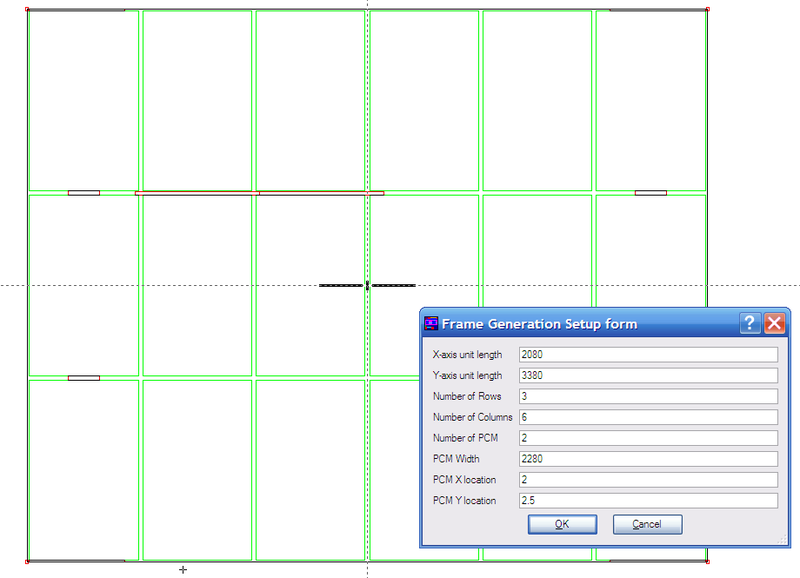 Generate the Main array (die array), Vernier, Interlock, PCM, etc. In order to run the script, press the green arrow icon located in the script panel window, or choose Script->Run . 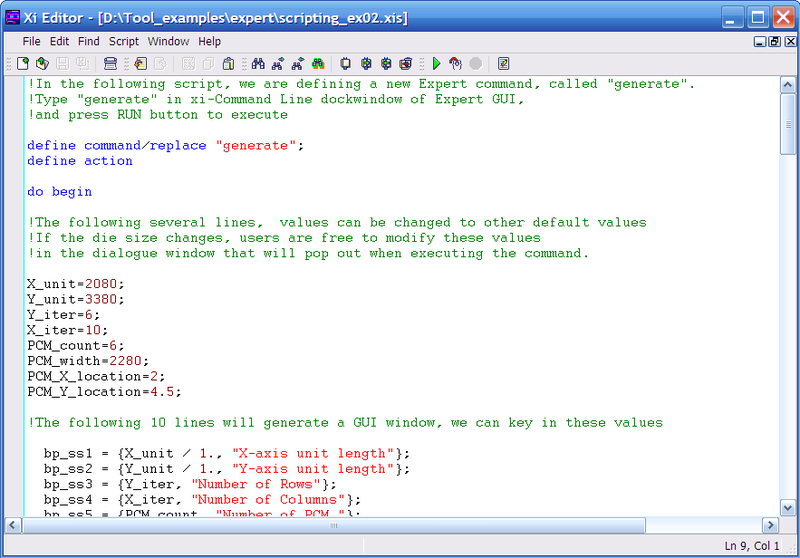 The execution of the LISA script defines a new Expert command, called "generate". Type "generate" in the xi-Command Line dock-window of the Expert GUI, and press RUN to execute, as shown in Figure 4 . Figure 5 illustrates the input dialog window after the execution of the "generate" command. 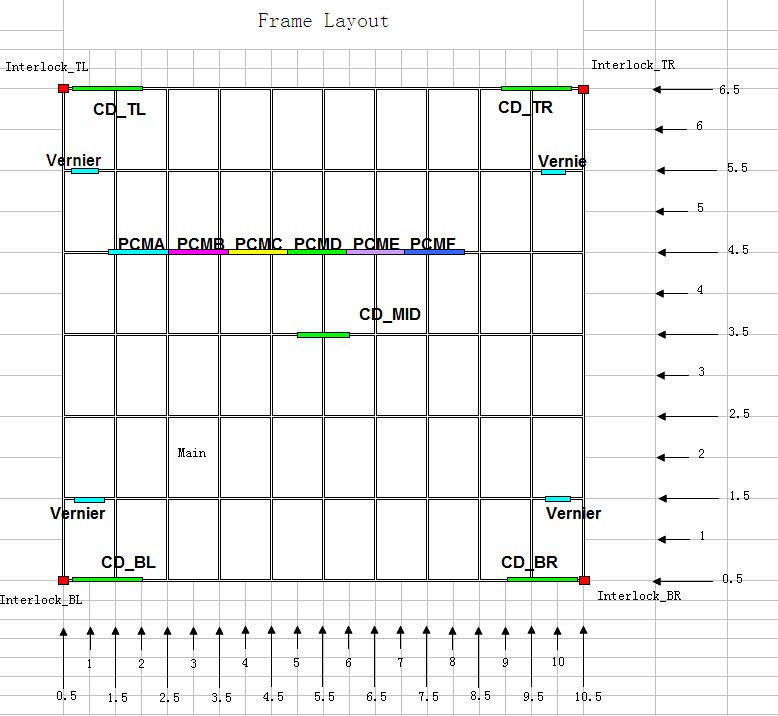 Figure 6 shows the layout of a 6x10 die array, with properly aligned frame and extension. This layout was generated automatically by the user-defined command. Note that the origin is set to be in the center of the whole layout. 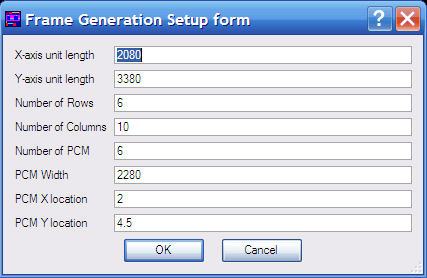 In the dialog window, the user can define the "Number of Rows", "Number of Columns" and "Number of PCM" to be 3, 6 and 2 respectively. 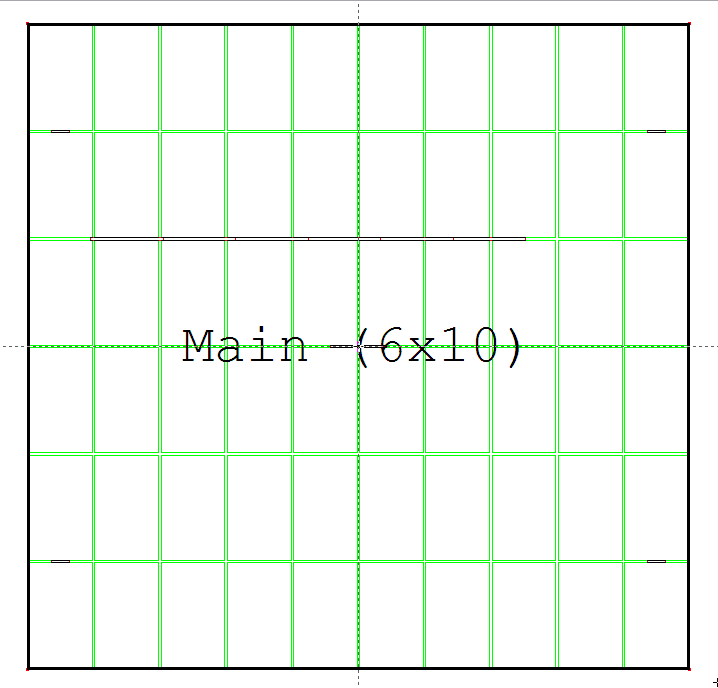 These values will lead to the layout of a 3x6 die array , with 2 PCM patterns instead of 6. !In the following script, we are defining a new Expert command, called "generate". !in the dialogue window that will pop out when executing the command. !The following 4 lines will generate the CD_MID pattern in the middle. !Expert uses cell's origin as the positional input of a instance. !The following 7 statements generate Main array. !Expert uses first cells's origin as the Array's position. !The scripts below are for generation of Scribelane extention (40um). !The scripts below are for generation of overlap extention (0.4um). !similarly the following 7 lines are for CD_BL, CD_TL, CD_TR, CD_BR array. !similarly the following 7 lines are for vernier array. !similarly the following 7 lines are for Interlock array. !similarly the following 7 lines are for PCM array.